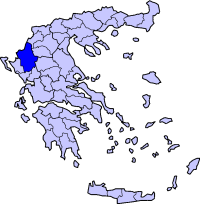 Pasaronas (Greek: Πασαρώνας) is a former municipality in the Ioannina peripheral unit, Greece. Population 8,452 (2001). The seat of the municipality was the village Eleousa. Since the 2011 local government reform it is part of the municipality Zitsa, of which it is a municipal unit.